What is the cheapest way to get from Comiso to Avola? The cheapest way to get from Comiso to Avola is to drive which costs 10€ - 15€ and takes 1h 19m. What is the fastest way to get from Comiso to Avola? The quickest way to get from Comiso to Avola is to taxi which costs 110€ - 140€ and takes 1h 19m. Is there a direct bus between Comiso and Avola? Yes, there is a direct bus departing from Comiso and arriving at Avola. Services depart three times a day, and operate Monday to Saturday. The journey takes approximately 2h 31m. Is there a direct train between Comiso and Avola? Yes, there is a direct train departing from Comiso and arriving at Avola. Services depart three times a day, and operate Monday to Saturday. The journey takes approximately 2h 13m. How far is it from Comiso to Avola? The distance between Comiso and Avola is 48 km. The road distance is 79.7 km. How do I travel from Comiso to Avola without a car? The best way to get from Comiso to Avola without a car is to train which takes 2h 13m and costs 7€ - 17€. How long does it take to get from Comiso to Avola? 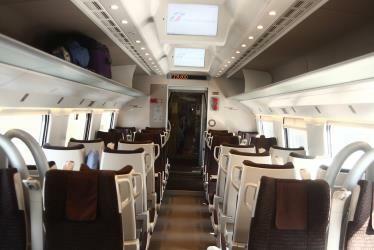 The train from Comiso to Avola takes 2h 13m including transfers and departs three times a day. Where do I catch the Comiso to Avola bus from? Comiso to Avola bus services, operated by Trenitalia, depart from Comiso station. Where do I catch the Comiso to Avola train from? Comiso to Avola train services, operated by Trenitalia, depart from Comiso station. Train or bus from Comiso to Avola? The best way to get from Comiso to Avola is to train which takes 2h 13m and costs 7€ - 17€. Alternatively, you can bus, which costs and takes 2h 31m. What companies run services between Comiso, Italy and Avola, Italy? Trenitalia operates a train from Comiso to Avola 3 times a day. Tickets cost 7€ - 17€ and the journey takes 2h 13m. Alternatively, Trenitalia operates a bus from Comiso to Avola 3 times a day, and the journey takes 2h 31m. Where does the Comiso to Avola bus arrive? Comiso to Avola bus services, operated by Trenitalia, arrive at Avola station. Where does the Comiso to Avola train arrive? Comiso to Avola train services, operated by Trenitalia, arrive at Avola station. Can I drive from Comiso to Avola? Yes, the driving distance between Comiso to Avola is 80 km. It takes approximately 1h 19m to drive from Comiso to Avola. How do I get a train ticket from Comiso to Avola? 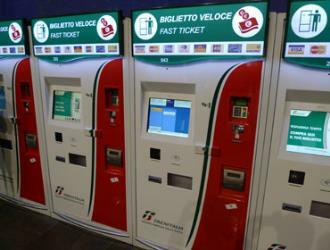 Book your Comiso to Avola train tickets online with Rome2rio. How do I get a bus ticket from Comiso to Avola? Book your Comiso to Avola bus tickets online with Rome2rio. Where can I stay near Avola? There are 4098+ hotels available in Avola. Prices start at 48€ per night. Ortygia is a small island which is the historical centre of the city of Syracuse, Sicily. The island, also known as Città Vecchia (Old City), contains many historical landmarks. The name originates from the Ancient Greek ortyx (ὄρτυξ), which means "Quail". The Cathedral of Syracuse (Duomo di Siracusa), formally the Cattedrale metropolitana della Natività di Maria Santissima, is an ancient Catholic church in Syracuse, Sicily, the seat of the Roman Catholic Archdiocese of Siracusa. Its structure is originally a Greek doric temple, and for this reason it is included in a UNESCO World Heritage Site designated in 2005. The Castello Maniace is a citadel and castle in Syracuse, Sicily. It is situated at the far point of the Ortygia island promontory, where it was constructed between 1232 and 1240 by the Emperor Frederick II. It bears the name of George Maniakes, the Byzantine general who besieged and took the city in 1038. Originally, one could only enter the castle over a bridge spanning a moat (now filled). A feature of the castle is the decorated portal. Today the castle is open to public and is a local tourist attraction in Syracuse. Rome2rio makes travelling from Comiso to Avola easy. Rome2rio is a door-to-door travel information and booking engine, helping you get to and from any location in the world. Find all the transport options for your trip from Comiso to Avola right here. Rome2rio displays up to date schedules, route maps, journey times and estimated fares from relevant transport operators, ensuring you can make an informed decision about which option will suit you best. Rome2rio also offers online bookings for selected operators, making reservations easy and straightforward.